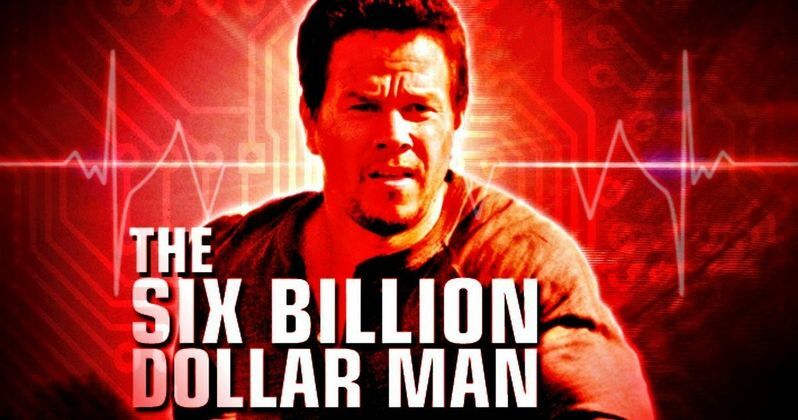 Mark Wahlberg's The Six Billion Dollar Man is finally being released next year after numerous ups and downs. The adaption of the iconic TV series, The Six Million Dollar Man, was supposed to be released in 2017, but was taken off of the release schedule in June of last year. Adding to the troubles was that it was originally going to be released by the Harvey Weinstein Company, which proved to be another obstacle for the project. Warner Bros. stepped up in December of 2017 to buy the project and now it finally has a concrete release date that should remain unchanged. The Six Billion Man, starring Mark Wahlberg and based of the classic 1970s TV show will officially come out on May 31st, 2019 via Warner Bros. Fans have been waiting a long time to see the big screen adaptation of The Six Million Dollar Man, and they're going to have to wait a bit longer. The show started in 1973 as an ABC television series, entitled The Six Million Dollar Man, which starred Lee Majors as Colonel Steve Austin (no relation to the wrestler). Austin was a test pilot who had bionic limbs and high-tech implants after a car crash that nearly killed him. Austin was also a NASA Astronaut in the original show. As of last year, the movie was still considered to be in development and had yet to begin filming. It's assumed that The Six Billion Dollar Man is in the same situation right now. However, with a release date set, casting news and production start announcements are imminent. So far, Mark Wahlberg is the only one who is officially attached to the project, though that could change. It's expected that The Six Billion Dollar Man will still be written by Damián Szifron (Wild Tales), but there is currently no information to back that up. For now, the release date and the adjusted-for-inflation title are the only things that are official about the movie. The project is expected to be very heavy on the visual effects, meaning that the production would have to start pretty soon in order to meet that deadline. Casting and preproduction would have to be taking place almost immediately since we're a little over a year away from the target release date. Will 2019 finally be the year that The Six Billion Dollar Man hits the big screen? It looks like Warner Bros. has the confidence that it will, but whether it does or not will remain a mystery until we start to hear about casting news. For now, we have a tiny bit of faith that The Six Billion Dollar Man has an official release date of May 31st, 2019. That's more than enough time to go back and watch the original show to get ready. The original report about The Six Billion Dollar Man came from Coming Soon.